I like to play soccer at a center after school that is run by some priests. I hope to have the strength to finish school. When I grow up, I would like to be a priest like the men who mentor me some day. 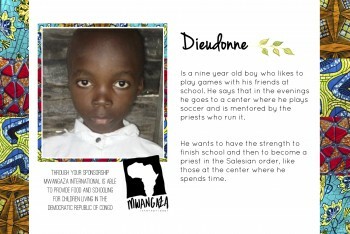 Please fill out the form below to make a $30 monthly donation to Dieudonne.